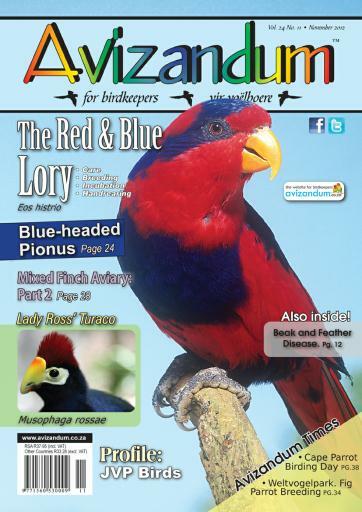 As you will see from the stunning lory on our front cover, our feature article is on the rare and beautiful Red and Blue Lory. These lories are critically endangered in their natural habitat and every effort should be made to breed these birds in captivity. I am sure many breeders that are interested in Lorikeets would love to keep and breed this species.